TheAlkalineDiet.org has just announces its new expansion plans offering natural health and dieting news with a network of natural dieting websites. After the launch of the website last November, the number of visitors has increased exponentially over the last few months and customers have been more than happy to read more about natural tips, news and secrets that can improve their health tremendously. Together with 9 other health websites, TheAlkalineDiet.org is the heart of the health network which now give away jam-packed natural health & green living newsletter to anyone who subscribes to their newsletter. In the newsletter, the readers would receive exclusive interviews with natural health authorities, read latest natural health news and also find out how to prepare healthy recipes. 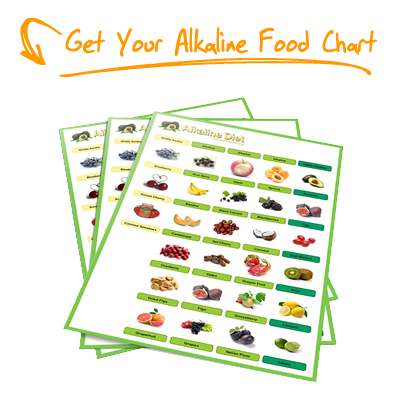 When TheAlkalineDiet.org just started, the website only provides alkaline foods and alkaline diet information. The main mission was helping readers to kick off the alkaline diet. Now it is heading towards the direction of becoming an official natural news portal to publish all the latest natural health news, articles and tips. In fact, interested readers can subscribe to one of the websites in the network for example Detox Diet, and they can still received the same latest natural health news. In one of the articles in the website, the readers can read more about how the blood’s pH level is actually out body’s lifeblood. A slightly alkaline pH level is essential for the body to function at its optimal level. The American’s diet is one of the main causes that contributes to most American being obese and full of diseases. “In fact, most Americans’ body are highly acidic,” George commented. For readers who are interested to read more about alkaline diet, George has worked with famous author, Emma Deangela, with her Alkaline Diet Course. It is a step by step detailed alkaline course for individuals who have a desire to stay healthy. After reaching out to thousands of readers on the alkaline diet, Emma has released the second edition of the course at the start of the year 2010. 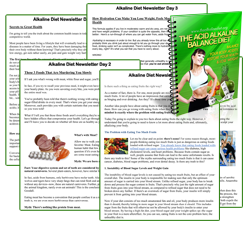 To read more about natural health and diet news, please visit: Alkaline Diet. Author Emma Deangela, the Alkaline Diet, launched the 2nd edition of her book and filled her website with alkaline dieting and healthy living tips. Different alternative health writers and practitioners are also invited to share and build a health and dieting community. Renowned author Emma Deangela has released the 2nd edition of her alkaline diet book on TheAlkalineDiet.org. Together with George Tee and a team of health writers, Emma offers alkaline diet tips on her course and website to help the readers and visitors with after holiday health problems like weight gain, dieting and digestion problems. These alkaline principles helps readers to maintain a healthy lifestyle even if they encounter with junk, harmful and unhealthy foods that are irresistible. 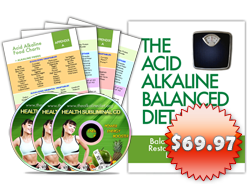 “When we feed ourselves with too much acidic food, our body and blood would become acidic. This further leads to our body more susceptible to diseases and illnesses. In fact, if our body is acidic, we will find ourselves tired easily and fall sick very often,” Emma said. In an article published on the alkaline diet website, Emma shares how following the alkaline diet principles can help to build up a stronger immune system and a healthy body. She also advises that readers should stick to organic foods today because the pesticides, preservatives, artificial sweeteners and genetically modified foods are the major contributors to cancers, diseases and illnesses. “To provide more value to our readers, we are expanding our team of writers and contributors – inviting alternative health physicians and practitioners to share with our readers more healthy methodologies and principles,” said George, the founder of http://www.TheAlkalineDiet.org. Both Emma Deangela and George Tee are passionate alternative health advocates who are committed to share healthy and natural health information. With the initial launch of the 1st edition of alkaline diet book, the website has attained one of the milestones in sharing with thousands of people about the alkaline diet. Hence, Emma and George has since released the 2nd edition of the alkaline diet in the start of 2010. To help people who want to lose weight, George Tee has also founded both master cleanse and detox diet websites that shares healthy and safe ways to detox your body, lose weight and staying healthy. To read more information about the alkaline diet book: please visit alkaline diet.